P448 is created by a team of Italian guys who love clothes and wanted to bring their know-how into a sneakers’ project too! 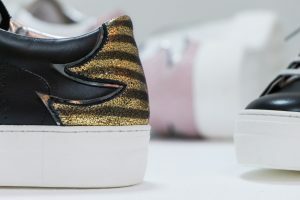 The creative team cooperates with a historical production company based in the Italian region of Marche for the manufacturing of the sneakers. Innovative fusion of materials and colors perfected by an extremely strong attention to details and high quality, all this makes the P448 a very unique product.